The sad end of a retired member of Buffalo Bill Cody’s Wild West was announced by the Omaha Daily Bee on December 5, 1906. However, the article, headlined “Death Warrant for Monarch,” referred not to a human, but to an animal. 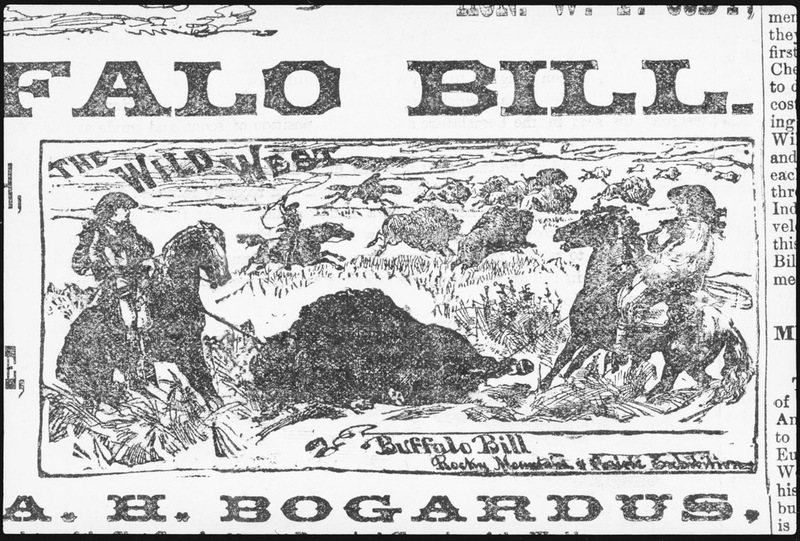 Monarch, “the finest specimen of buffalo ever in captivity,” was considered too dangerous for Riverview Park, his home in Omaha since leaving the Wild West, and he was soon to be slaughtered. This detail from a poster for Buffalo Bill’s Wild West depicts men on horseback and running buffalo. NSHS RG3004.PH190 (above). Omaha mayor Jim Dahlman in cowboy garb. NSHS RG2990.PH0-1 (left).